Danae.travel cooperates with Superfast ferries since 2006. 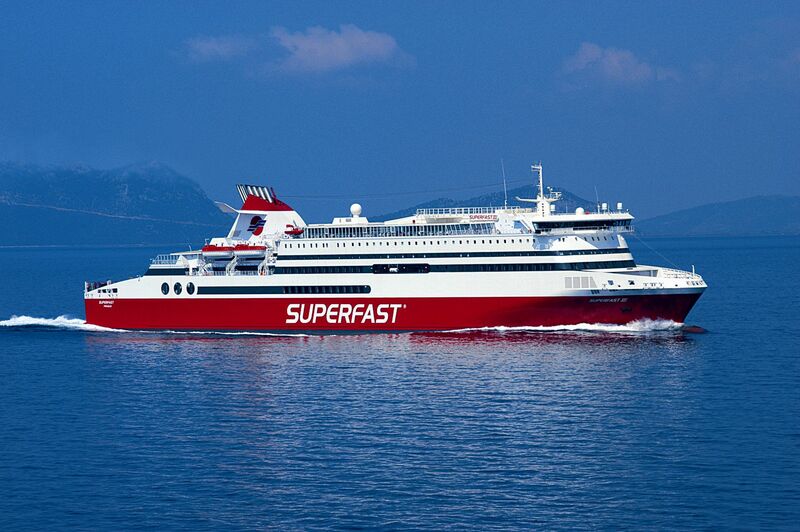 The Superfast vision began in 1995 with the deployment of the first pair of pioneering German-built car passenger ferries on the Patras-Ancona route reducing travelling time from 36 to 20 hours and setting new standards in maritime transport between Greece and Italy. Superfast Ferries vessels are certified under the International Safety Management Code (ISM), related to the provisions of SOLAS for the protection of human life at sea, and the Quality Management System ISO 9001:2000. Auditing and certification as per ISO 9001:2000 was carried out by ABS Quality Evaluations, a highly respectable organization and member of the international American Bureau of Shipping Group (ABS). Certification under ISO 9001:2000 constitutes recognition of the high level of services offered by our Group. In addition Superfast Ferries are certified under the Environmental Management System ISO 14001:2004 by ABS Quality Evaluations and under ISO 22000 the new international standard for HACCP (food and beverage hygiene system). 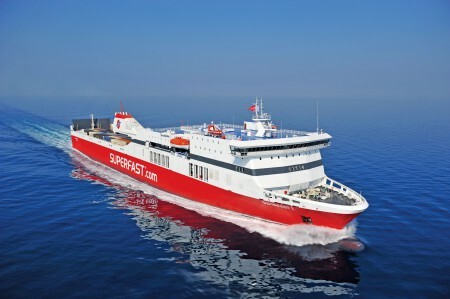 Superfast Ferries is a 100% subsidiary of Attica Group which is listed on the Athens Exchange and is the parent company of Superfast Ferries and Blue Star Ferries. Indoor Bars: Our indoor bars offer a variety of coffees, from traditional Greek to espresso, juices, alcoholic and non- alcoholic beverages and delicious desserts, any time of the day. For your convenience, there is always one bar open 24 hours a day. Self Service Restaurant: The ideal choice for good quality cuisine at reasonable prices. Shopping: On board you will find a wide selection of perfumes, cosmetics, jewellery, accessories and gifts as well as a variety of clothing, travel items, spirits and wines, Greek delicacies, Swiss chocolates and selected Superfast souvenirs – all at irresistible prices. Indoor Bars(Casino Bar – Disco Bar): Indoor bars offer a variety of coffees, from traditional Greek to espresso, juices, alcoholic and non-alcoholic beverages and delicious desserts, any time of the day. For your convenience, there is always one bar open 24 hours a day. Casino :Open when at sea our on-board casino has a wide variety of slot machines for high adrenaline. The Reception Desk personnel is 24 hours a day available for your information and service, always ready to answer any question you may have. At the reception Desk you can be informed about the loyalty program of Superfast Ferries, SeaSmiles concerning both passengers and professional drivers who travel with us frequently. Special cabins for pet accommodation as well as special kennels (on Deck 10) are provided for the maximum comfort of your beloved pet. For health reasons, pets are not allowed in cabins (other than the special assigned ones), bars, restaurants and in all indoor areas of the ship. When walking on the open deck, they are required to wear muzzle and be on a leash, accompanied by a guardian. Owners are required to have with them their pets valid passports and health documents while traveling and to be responsible for their care, safety and hygiene observing all laws and regulations related to the above. There is a special area available for your pet’s daily hygiene. The accepted currency on board is EURO. A Currency Exchange bureau is located at the Reception area for your convenience. Shops accept all major credit cards. On board the vessel there is an ATM.